As a parent of two children and a pet dog, finding a highly rated vacuum that works to pick up small messes on hard floor and carpeting is always a challenge. There are so many options and trying to find the right vacuum can be a very confusing process. I had heard about the Shark Rocket Ultralight Upright after reading through many of the Shark Rocket reviews on Amazon.com and decided to give it a try. It follows on from the HV300 & HV301. Its smaller size seemed perfect for my small home. I also thought its light weight would make it easier for my children to use. Overall, I was very happy with my purchase. I would like to share my review of the Shark Rocket Ultralight HV302 with you, which I personally think is more of a Shark vacuum Rocket! At about 7.5 pounds, this Shark Rocket vacuum cleaner is the lightest one I have ever owned. The company says they redesigned a full-sized vacuum, included high-performance essentials, and stripped away every unneeded ounce and they were not kidding. 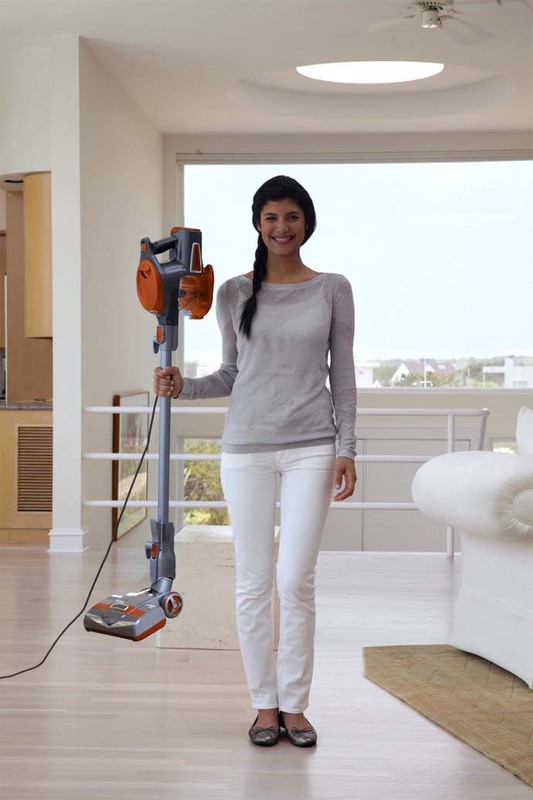 This vacuum is light and powerful. 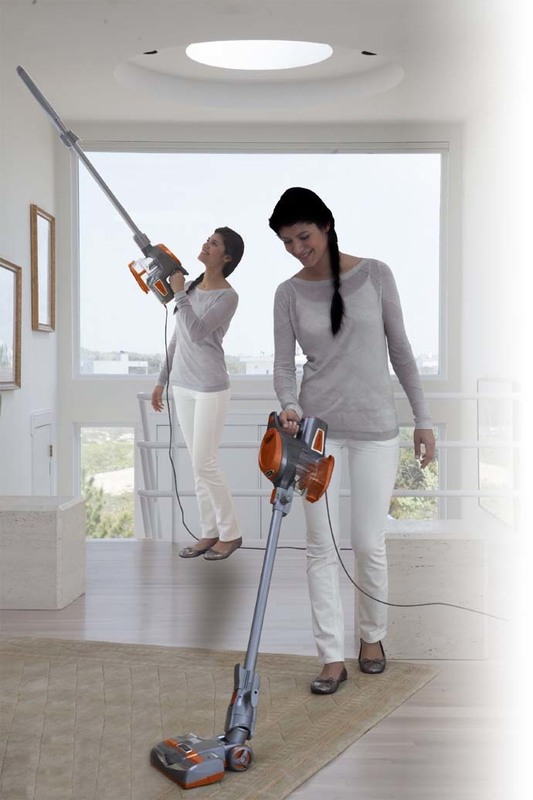 Most vacuums fall within the 300 to 1500 watt range, and at 500 watts, the Shark Rocket Ultra light falls within the lower range of that scale. However, I have learned that more power does not necessarily mean more suction or clean. The brush roll plays an important role in cleaning your carpet. Your carpet requires a specific combination of agitation and brushing in order to remove debris from your carpet. Then the vacuum suction can do the job of removing the particles or debris from the air and into the chamber. The Shark has this ratio well figured out. As a side note, the 30 foot power cord is an added bonus. I can almost reach all areas on the first floor with the amount of length I am given. As I stated earlier, you need the correct amount of carpet agitation to remove particles and debris from your carpet. The Shark Rocket HV302 accomplishes this by providing two brush speed settings on their vacuum. There is a faster, more vigorous speed for carpets and a slower, more gentle speed for hard flooring and delicate surfaces. I have found that both settings work extremely well. I can vacuum the living room carpet on one setting and then switch settings, move over to the dining room, and clean under the table in no time at all. It is extremely convenient and a real time saver. The Rocket Ultralight comes with a dust cup which is a container attached to the machine that collects everything you vacuum up. You then take the dust cup over to the trash and dump it out. The best thing about a dust cup is that you never need to purchase additional bags. That is one less thing I need to remember at the grocery store. The Shark dust cup is easy to open and close which makes for fast clean up. All you have to do is detach the motor and cup section from the vacuum head and cleaning wand, hold the dust cup over the trash, press the release button to open the dust cup, and dump it out. The thing I love the most about my cleaner is how easy it is to detach the vacuum head from the cleaning wand. It converts it into the Shark Rocket hand vac. The cleaning wand is the section of tubing that connects the vacuum head to the vacuum motor and dust cup. 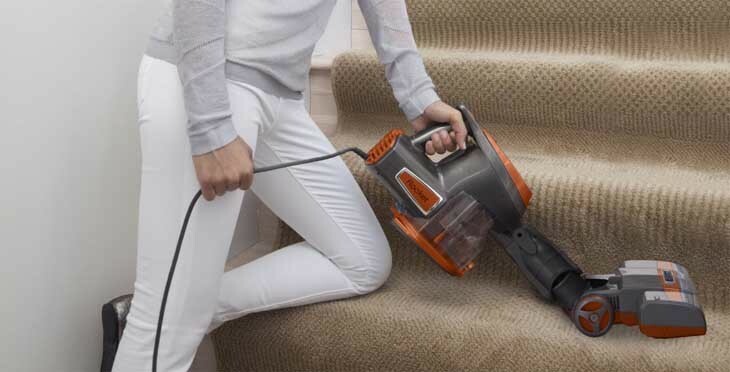 With a quick release, it is easy to go from vacuuming the floor to sucking up cobwebs from the ceiling. The cleaning wand is also great for hard to reach places like behind the TV, under the couch, or in the little gap between the oven and the counters. To tell you the truth, I was a bit worried about the washable filters aspect of this vacuum. However, my worries seem to be unfounded. Shark recommends washing your vacuum filters once a month. You wash them with tap water only until the water runs clear. Then you leave them out to air dry. Shark also states that the filters will discolor over time, but they will last the lifetime of your vacuum. It is good to know that you can also order replacement filters if necessary. Everyone knows easy storage is essential for any vacuum cleaner and the Shark Rocket Ultralight Upright vacuum has storage capabilities to spare. There are storage hooks located on the bottom of the dust cup that attach to the far end of the cleaning wand or to a wall mounting system. You have the option of storing a compact version of your vacuum in a closet or hanging it from the wall in an easy to access location. Really Useful Shark Rocket Accessories! I love a good vacuum accessory and the Shark Rocket vac comes with many excellent accessory options. 12” Crevice Tool – Really gets into all the nooks and crannies. Dusting Brush – Great for curtains or other fragile materials. Pet Upholstery Tool – Cat and dog hair is no longer a problem. Car Detail Kit – Cleaning the car is so much easier now. Dust Away Hard Floor Attachment – A fantastic combination of a microfiber pad and a vacuum to remove even more dust. Wall Mount – Great for keeping your vacuum in an organized location. Accessory Bag – Keep all your accessories in one place. All these Shark Rocket attachments are fantastic and I love that they are not all stored on the vacuum. You can even hang the accessory bag on the wall mount with your vacuum. 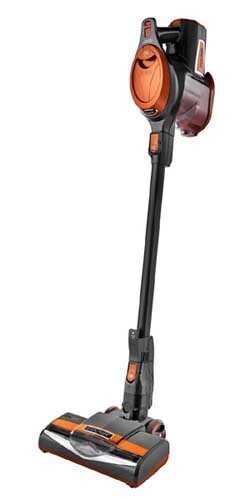 Some people have compared the Shark Ultralight Rocket to the Dyson V6 Absolute. The biggest difference is that the Dyson V6 is cordless and battery operated. Some may see this as a major advantage, but if your cleaning takes you longer than 6-12 minutes, then you will have to wait for the V6 to recharge before you continue. Another benefit of the Ultralight over the V6 is that the rocket Shark vacuum is considerably less expensive. Approximately $180 for the Rocket Vs $500 V6 Absolute. Where Can I Buy The Rocket Ultralight? 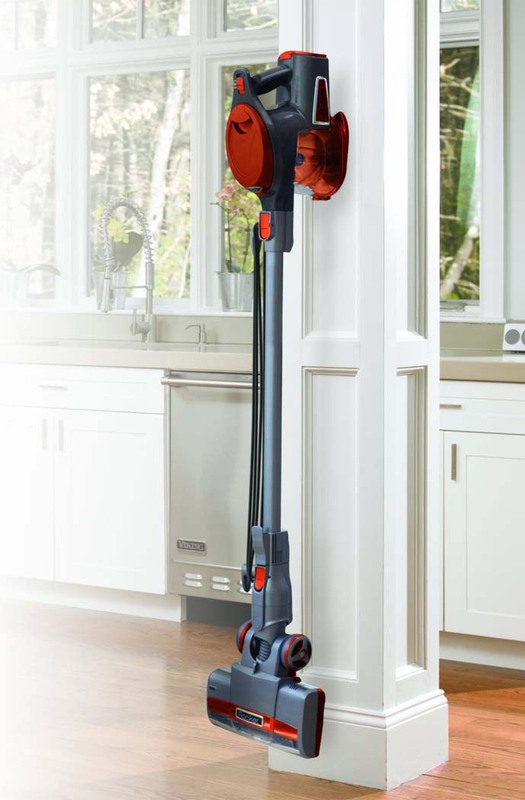 You can buy this upright stick vacuum from many stores both online and offline including Walmart, Costco, bed bath and beyond, Kohls, QVC, Target, Lowes, Home Depot and Amzon.com. Amazon seems to continually have the lowest price available for this model of vacuum. It is also a Prime item which means shipping is free if you are a member. The low price and free shipping make it a great purchase. 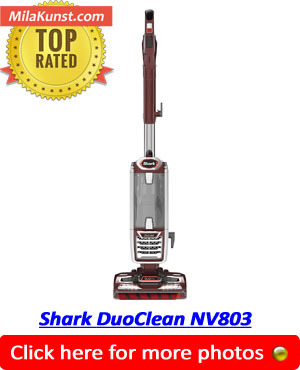 It gets a rating of 4.6 out of 5 stars for Shark Rocket vacuum reviews from over 1400 customers on Amazon.com. If you want to ready all the Shark Rocket Ultralight vacuum reviews, click on the link below.